The first ever state-wide Discover Jersey Arts conference was a sold out success! Thank you to all the attendees, speakers, sponsors, and staff who made this event happen. For the third time, we asked people attending an event to bring the conversation from in-person to online, and boy, did they ever! Our multi-tasking tweeple (Twitter people) took to their smartphones, laptops, and tablets to bring the takeaways from the conference to the twitterverse. This continues to be a great way to engage people who couldn’t attend (from New Jersey to California to Canada!) and create an additional platform for conversation. In fact, the combined reach of our tweeters extended to over 15,000 followers! 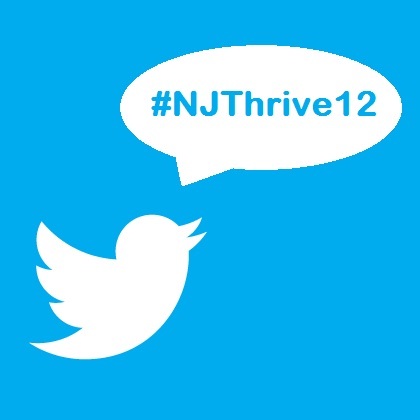 @adamperle Great point about #advocacy from #NJThrive12 keynote. Inform your elected officials. Don’t go to them only when you need something. Claim Your Title as NJ’s Biggest Arts Fan and Win! October has been officially proclaimed “Discover Jersey Arts Month” by Governor Christie. To celebrate this, and the tenth anniversary of their official launch, Discover Jersey Arts is holding an Ultimate Arts Fan Contest! All month long, Discover Jersey Arts invites arts lovers from throughout the region to tell them why they love the arts in New Jersey. You can write it, draw it, record it or film it, but make sure you submit it because the winner will receive a $500 Jersey Arts Fan Spending Spree tailored around the passions, geography and organizations featured in their entry. For more information and sample submissions (including a video of yours truly!) visit: http://jerseyarts.com/artsfan. A New Home for ArtPride and More! Lyceum Hall in Burlington City will be ArtPride NJ’s new home by the end of this calendar year. In more than one way, it’s an appropriate and fated move. Officially known as Herman T. Costello Lyceum Hall, it’s a truly historic building constructed in 1839. It was given to the City of Burlington in 1851 and functioned as City Hall for 140 years. Lyceum Hall was renovated in 1910 and a rear addition was constructed in 1935 that doubled its size. City Hall was vacated in 1991 due to structural problems and City Hall moved to various locations. 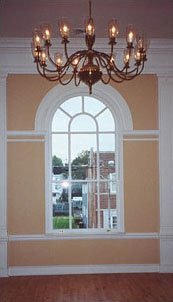 In 1995, the NJ Historic Trust awarded the City of Burlington grant funds to assist with restoring the building, focusing on structural repairs, restoration of historic interior features, and ADA compliance. The project is not yet complete, but considerable work has been done. The second floor houses a large, brightly lit and historically correct meeting hall now reached by a beautifully restored oak staircase. ArtPride’s offices will be located in about 1200 square feet of space on the first floor near the main entrance. Discover Jersey Arts and Arts Plan NJ will be new roommates to utilize the space that is currently being built to suit. Some great features–an elevator to complete ADA requirements, a kitchen on the second floor will facilitate events held in the large meeting room, classroom and studio spaces abound on both floors, and a large open space on the second floor is being built as a black box theatre that can accommodate at least 100 if not more. We are really excited to be part of the City of Burlington’s effort to bring the arts to a city that is rich in history but lacking in arts facilities. City officials have been more than gracious in courting us to help spur economic activity in the neighborhood. This county has a considerable artist population that is starving for studio and classroom space, so it shouldn’t be hard to find other tenants to liven’ up the place! Up top is a photo of the exterior, and the other photo shows just a small part of the large meeting space. More “before” photos to follow!